TELUS International is a global business process and IT outsourcing company with more than 27,000 employees around the world, including in Canada, the United States, Europe, Central America, the Philippines, and the United Kingdom. 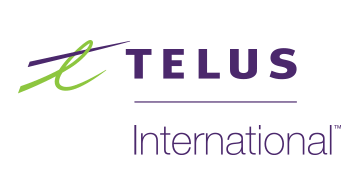 With over 200 million customer interactions supported annually via voice, email, chat and social media, TELUS International serves clients in over 35 languages. Whether you’re a fast-growing fintech or an established bank, insurance provider, credit agency, payment processor, or you provide corporate financing, our services can help you acquire, nurture and solidify customer relationships. Our teams are focused on security and compliance, including the due diligence required to meet regulations impacting your business.